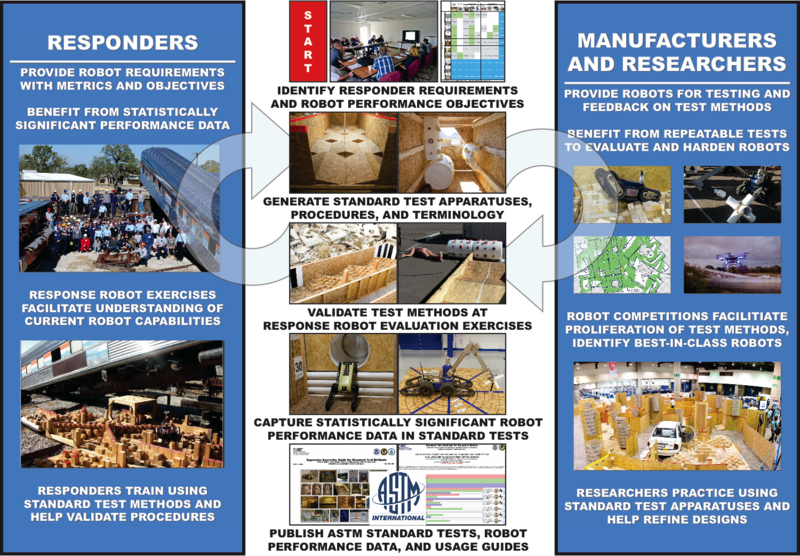 A “standard robot” is a completely different concept and should be carefully considered. A standard robot would presumably meet a well-defined equipment specification for size, shape, capabilities, interfaces, and/or other features. Such equipment standards are typically intended to improve compatibility, enable interoperability, increase production, lower costs, etc. This can be important for many reasons, but can also hinder innovation. In this effort, we are not proposing to develop a standard ground robot specification of any kind. Rather, we are proposing to develop standard test methods that can be used to evaluate and compare entire classes of such systems in objective and quantifiable ways. 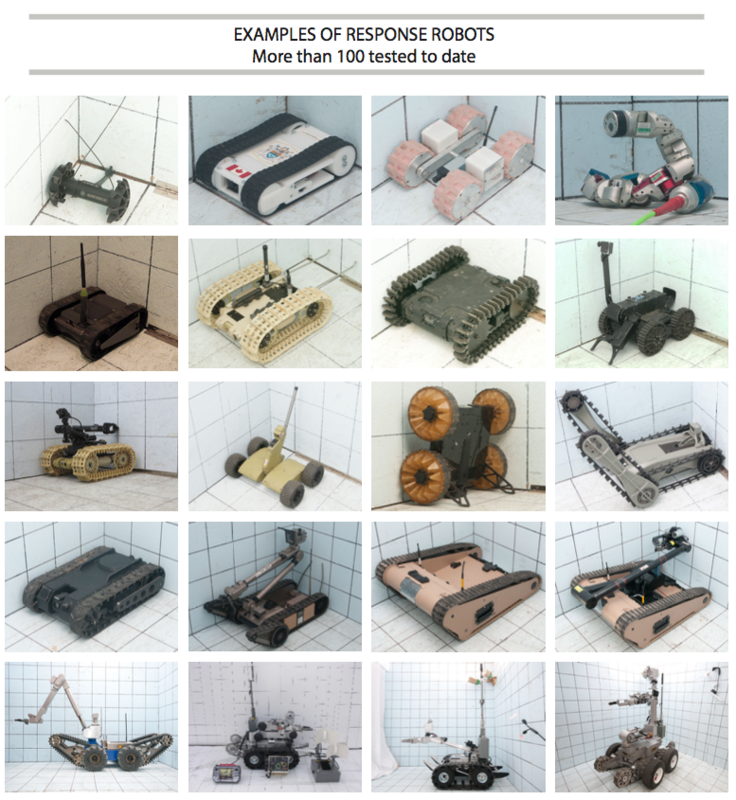 The resulting suite of standard test methods could indeed be used to specify a standard ground robot at some point, similar to how they are used to specify purchases. But that is left to each user community to define for themselves based on their particular mission objectives. We use standard test methods to encourage implementation of new technologies to improve capabilities and measure progress along the way. Test method development workshops to decompose mission requirements into suites of elemental test methods. These events define the initial apparatuses, procedures, and performance metrics necessary to capture baseline capabilities. They also define an approach toward controlling environmental variables and then implementing such variables individually, such lighting, wet or dry conditions etc. Validation exercises with developers and user communities. These somewhat public events exercise the tangible test apparatuses with repeated testing of different ground systems to facilitate bi-directional communication between the communities. This helps cut through the inevitable marketing, even within development programs. These events determine if the test methods appropriately challenge the state-of-the-science as intended, and that they adequately measure and highlight “best-in-class” capabilities to inform/align expectations for user communities. Comprehensive capability assessments for developmental or commercial systems. 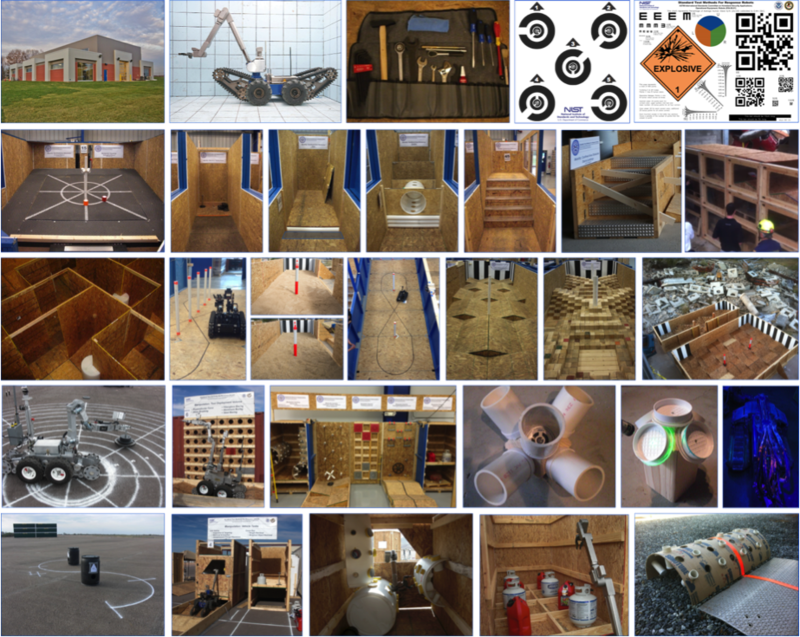 These private evaluations test specific system configurations across all applicable test methods. This involves typically more than 20 test methods when considering testing all sensors, endurance, latency, etc. in addition to maneuvering, dexterity, situational awareness, etc. All the applicable environmental variables are also tested individually. So-called “expert” operators provided by the developer are used to capture the best possible performance. The resulting data enables direct comparison of capabilities and trade-offs while helping to establish the “repeatability” and “reproducibility” of the test methods for the standardization process. Test trials are conducted to statistical significance up to 10, 20, or 30 repetitions depending on the number of failures. The objective is typically 80% reliability with 80% confidence but test sponsors can adjust these thresholds depending on envisioned mission resilience to failure. Such capabilities data across an entire class of similar robots provides objective comparisons to support purchasing decisions.